FIFA World Cup history is full of legendary names, teams and tournaments. Played every four years, the list of past winners, best players and leading goalscorers is a veritable who’s who of footballing royalty. In 2018 it was France who won the Cup, Harry Kane of England taking home the golden boot, and Luka Modric the golden ball. Below is a list of the winners, runners-up, best performers and leading goalscorers of each World Cup. The World Cup is a chance for each country to showcase its best players. The grand tournament has allowed young players to get the national recognition they deserve and older veterans to continue their legacy. The now-retired Miroslav Klose holds the legendary status of most goals scored ever in World Cup finals matches. Below is a list of the top scorers in the competition’s history. No national team has been as successful in World Cups than Brazil. The Selecao have won the tournament a record five times, the last of which came in 2002 when a star-studded team featuring Ronaldo, Rivaldo, Ronaldinho defeated Germany 2-0 in the final. 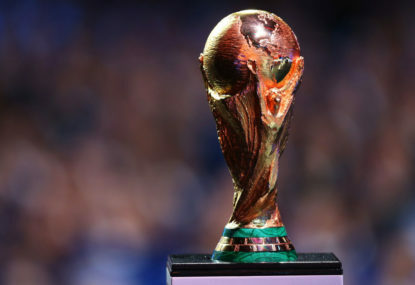 The Germans are next on the list of most successful World Cup nations, having lifted the trophy on four occasions – three as West Germany and once more as a unified nation in 2014. Italy, the first nation to win two World Cups, sit equal with Die Mannschaft on four victories. Uruguay were the inaugural champions, the first side to claim the Jules Rimet trophy in 1930, and won one more title in an upset in 1950. Argentina have also won two titles.